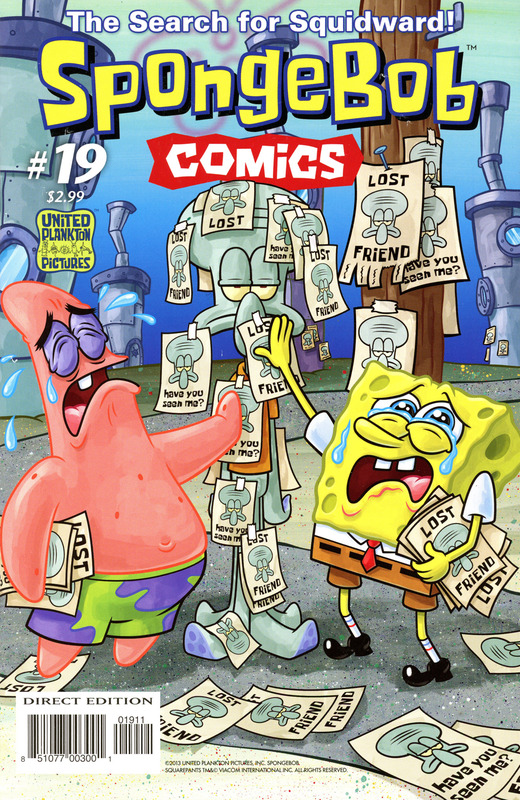 When Squidward unexpectedly moves out, SpongeBob and Patrick search far and wide for him to give a proper goodbye. SpongeBob enters a cooking competition for a special prize. Rock! It's science!, The Future is Cheese. Mrs. Puff runs into an old student at Bargain Mart. Mermaid Man remembers his first encounter with the Monstah Lobstah. Gary accidentally locked himself inside SpongeBob's house and SpongeBob and Patrick have to get him out. Squidward practices his clarinet in the early morning. Random fact: One story shows Mermaid Man and Barnacle Boy at a comic convention called Bikini Bottom Comic Con.